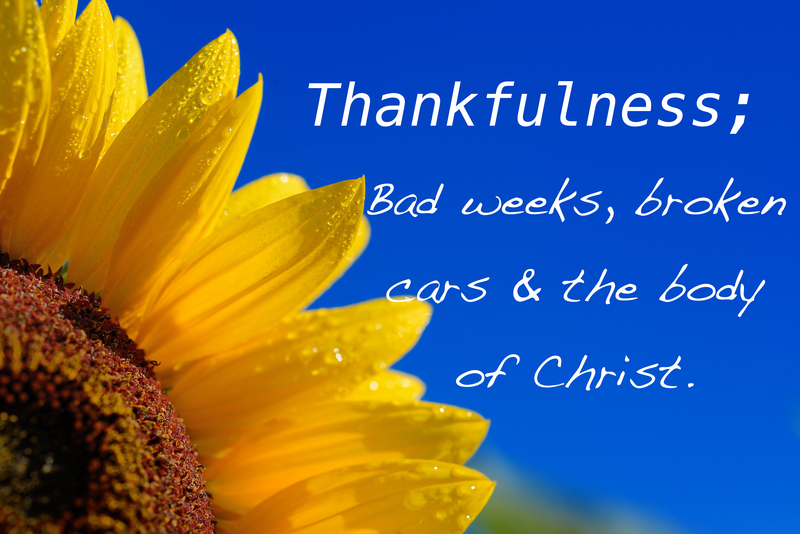 Thankfulness + Bad weeks + The body of Christ. This week I have been thankful. Not that things have been going super well for us. The car broke down. Twice. I lost my wedding rings. I got a stomach virus. The list could go on. It’s been a busy, crazy kinda fornight. I’m saying this beacuse thankfulness was not at all what I was thinking I would be feeling at this time. But somehow, last night, laying in bed, I just was happy and thankful. Thankful because when our car broke down, we had some many people stop and help us. Thankful that we have a loving family who helps fix things, takes us round town when we need it and dosent mind us lounging around their house. 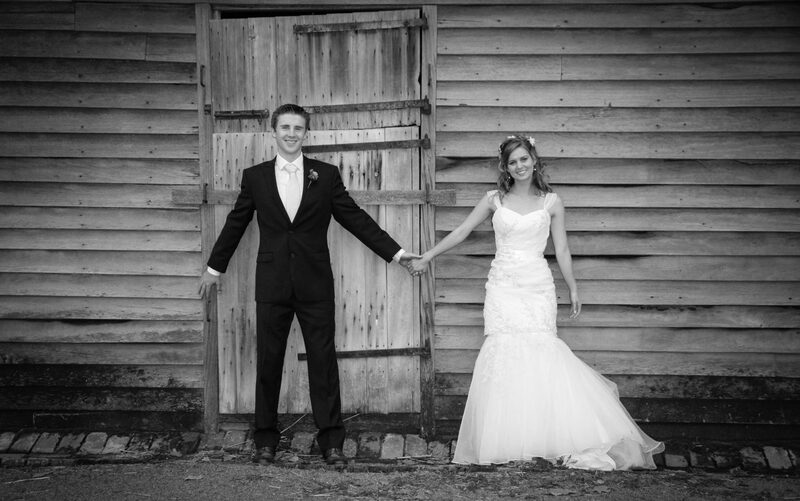 Thankful for a Husband and marriage that is strong and loving, even when life is crazy. Thankful for a body that is learning how to fight well. Thankful for friends who offer up cars and houses and help. Thankful for food and a house, knowing that most people don’t even have that, let alone cars and rings and phones. I always used to think how amazing it would be to live in the time of the Acts. To have all things in common, to be together and in community. And last night it hit me; We still live like that. Ok, maybe not in each others houses 24/7. But how many times has someone loaned you their car or helped you out with something? How many times has someone sent a card or dropped a meal around? Offered to take you shopping or look after you kids? What about times people have prayed and prayed for you? Or just simply dropped by for a chat and time together? It’s not the same, and it busier and more spread out, but the body of Christ is still moving and working. And I for one am so so thankful. That list is mostly things. Rings and cars and phones and the like, and it’s funny that this should be happening this month, while doing my August Simplicity Challenge, because one thing I am really really learning is that possessions don’t matter. People are what matter most. Above jobs and cars and money and things. People are what stay. All the rest is temporary. So love your people. Love them well. Grow and love and help people. Be active in your community. I’m so amazed, although I shouldn’t be, at this brilliant body. There are hands that reach out and feet that move, hearts that love and tongues that speak words of love, help and honesty. And a Head that is beautiful. That leads and loves and is like no other. I’m so thankful for this wonderful community, that loves oh so well, and A Head that I hope to meet soon. ← 10 Things I am crushing on right now. That sounds so lovely! What a good thing to do before bed. So easy to focus on all the negatives and all the things we don’t have, and not be thankful for all the blessings we have got! Amazing post. Me and my husband did just what you wrote about. While om bed for the night, we snuggled tightly and each of us started thanking God for what we have. After we did that. We both tool turns praying and asking God to give us a heart like His. When I woke up this morning I felt so relieved. Its so easy to focus on what we think we need im life.